22-year-old Tyler Keizer's death a homicide say police. Police tape surrounds the crime scene on Gottingen. 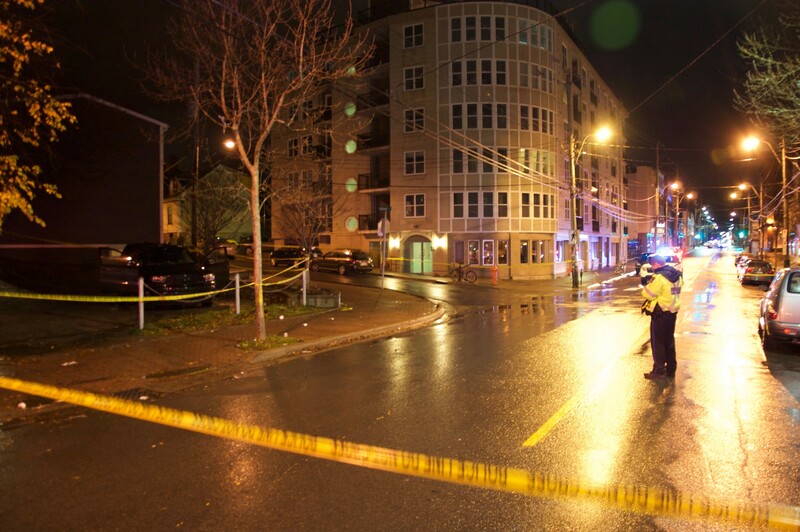 A 22-year-old man is dead following a shooting in north end Halifax. Police found a man who had been shot inside of a vehicle. Tyler Ronald Joseph Keizer of Halifax was brought to QEII Health Sciences Centre with life-threatening injuries and later passed away. The death is the twelfth so far in HRM this year. It’s also the third shooting death in the last 10 days. A week ago, Terrence Patrick Izzard died after a shooting on Cragg Avenue, off of Uniacke Street. Shakur Jefferies was killed on Washmill Lake Drive two days before that. Halifax Regional Police department has spent almost all of its overtime budget in the first two quarters of the fiscal year. One man dead after late-night homicide in north end. The city comes together after a shocking string of murders, but what happens now?